The number of measles cases in Quebec's Lanaudière region has climbed to 136, up from 119 on Wednesday. The number of measles cases in Quebec's Lanaudière region has climed to 136, up from 119 on Wednesday. Public health officials say all the cases are connected and involve unvaccinated individuals. The confirmed cases are children or adults from the same religious community called L'esprit Saint. 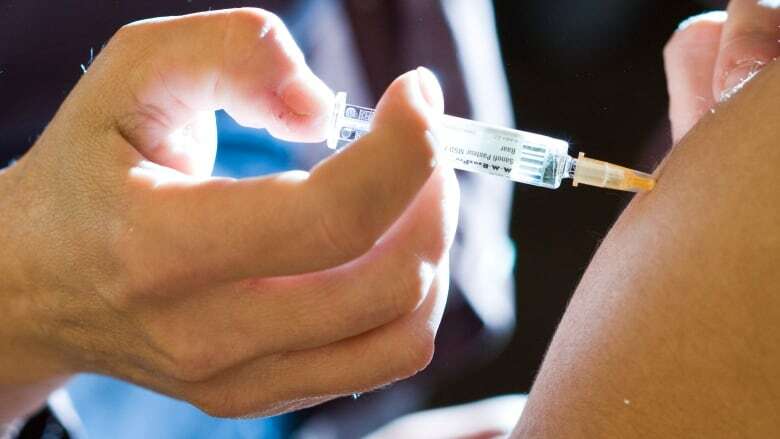 A member of the L'esprit Saint religious community told the CBC that their prophet warns against vaccines, claiming they can lead to serious illnesses. On Thursday, public health officials launched a vaccination campaign at a local school after learning an infected child had recently visited the school. Students who still hadn't been vaccinated by the end of the day were forbidden from attending school until further notice. The first Quebecers to contract measles were exposed while visiting Disneyland in California. Measles is a highly contagious infection that causes high fever, a distinctive rash and a runny nose. Complications can include pneumonia, deafness and death in about one or two cases per 1,000 infected individuals.